Cosmetic Trail Blazer: Esi made history when she joined Procter & Gamble in 1991 as she was one of the youngest employees to become general manager. 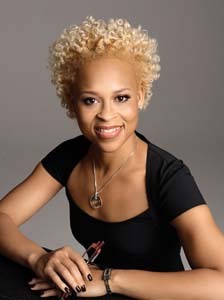 She is now in charge of over 1,000 employees and is responsible for P&G’s popular CoverGirl and Max Factor brands, which have garnered over $2 billion in retail sales worldwide. Mentors in Her Life: Gina Drosos, who taught her that P&G’s greatest asset is its people, and Susan Arnold, who taught her to value her unique gifts and encouraged her to use her talents to drive business. Diversity in Action: Esi helped expand the definition of all-American beauty by signing diverse personalities such as Queen Latifah, Ellen DeGeneres and Drew Barrymore to be spokeswomen for CoverGirl, and she is most pleased that she can help women feel great on the inside. Mascara can be such a love-hate relationship. On one hand, it can turn your lashes from underwhelming to “pow!” One the other hand, after a while “pow!” may turn into a smudgy, clumpy, irritating mess. 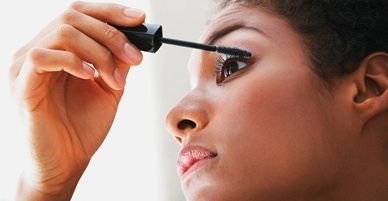 Here are just a few tips to keep your mascara woes at a minimum. 1) Give mascara a chance. I’ve found that you can’t judge a tube of mascara by just one (or two) uses. When you open up a fresh tube, clumps are at a minimum because the liquid hasn’t been exposed to air. The mascara just glides on lashes almost effortlessly, almost too effortlessly because your lashes don’t get the lengthening lift from the brush. After a couple weeks, the liquid usually has enough air exposure that provides the brush with a little resistance, resulting in longer lash extension than if the liquid was thinner. So before you go writing off your super-duper lash extending mascara, just wait a couple weeks and it may become your next beauty staple. 2) Cleaning Prevents the Clumps. No one likes clumpy mascara. Unless you’re Tammy Faye (RIP), you probably do your best to avoid little mascara balls at the tips of your lashes or the “lash reduction factor” where eight lashes combine into one big one with a big glop of mess at the root. Here’s a tip: clean your mascara brush. Once a week to once every two weeks, twist the brush in a paper or cloth towel (not tissue or toilet paper) to get rid of the gunk. 3) Smudge No More. Have you ever looked in the mirror after a long day and realized you looked like a raccoon? Does mascara irritate the heck out of your eyes? Do you want to kick yourself every time you rub your eyes and smear your mascara across your face? Though waterproof mascara is one option, my latest pick has been mascara “tubes.” Basically, when you apply the mascara, the liquid dries to form “tubes” around your lashes. Remember peel-off nail polish? It’s kind of like that. It results in no smudges, smearing or raccoon eyes. Also, it’s great for people who wear contact lenses or have sensitive eyes. Check out Blinc and Too Faced. It is so difficult to find the perfect foundation, especially for women of color. So many don’t come in the right shades, are too thick, not enough coverage or cause breakouts. Needless to say, finding the best match can be daunting. 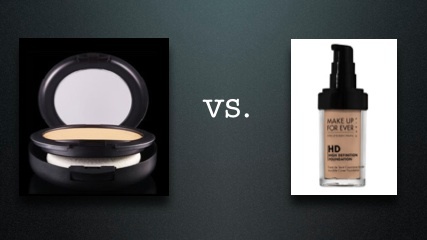 To help you with your search, we’ve put two full coverage foundations head to head in this week’s Beauty Smackdown. Studio Fix by MAC is a powder makeup that goes on with as much coverage as a cream foundation. It comes with a sponge that applies the color smoothly and evenly. Some people like to use a brush instead for lighter coverage. One thing to note is that it usually looks lighter than your skin shade when it first is applied, but once it settles and mixes with your skin’s natural oils, it darkens a bit (so don’t be worried if it looks pasty when you first put it on). MAC Studio Fix comes in 33 shades with nine being for darker complexions. Pros: The color was close to my skin color, the sponge blended in the foundation well, worked well on my sensitive skin, and one container lasts 6 months (with everyday wear). Cons: Though it was a powder, it did not control my oily t-zone and it also settled into my creases after a while. HD Invisible Cover Foundation by Make Up For Ever was created to suit professional use on HD film and, according to Sephora.com, “covers skin imperfections flawlessly while remaining invisible on-screen and in real life.” The foundation comes in liquid form and though it is full coverage, it feels light to the skin. It comes in a pump and is best applied by a brush (though, truth be told, I sometimes use my fingers). The foundation has a good color selection since it comes in 25 shades with 12 being for darker complexions. Not only are the shades based on skin color, they are also based on undertone so you can truly match you skin. Pros: Looked natural, full coverage without feeling heavy, worked well on my sensitive skin and excellent color selection. Cons: Didn’t completely control the oily t-zone and more expensive up front (though per oz cost is less than MAC). Price: $40 for 1.01 oz. Have you tried either of these? If so, what did you like/dislike? Also, what are your favorite foundations? Think about all of the lipstick, blush, foundation and mascara containers that you have thrown away over the years. Luckily there are a few cosmetic companies that are offering recycling programs and also give you an added incentive for doing so! Kiehl’s: Through their Recycle and Be Rewarded program, take your empty Kiehl’s containers to your any free standing Kiehl’s store. They will give you a card to track your recycled containers at the store. After three containers you get Lip Balm #1, after 5 you get an item from Kiehl’s Travel Collection, and after 10 you can choose almost any product valued $25 or less! MAC: Through their Back to MAC program, return 6 MAC containers to any MAC counter or store for a free lipstick! Origins: With the Return to Origins Recycling Program, return ANY cosmetic company’s containers to Origins free standing stores or department counters (except for those in Nordstrom stores or located in Puerto Rico or Canada). Your used packaging can score you free samples of Origins’ fabulous products. Every smart woman’s purse should contain not only her phone and makeup, but also some essentials to keep her prepared on the go. Here are some of our favorites that are sure to be your favorites too! 1. Luxe Noir Bling Compact Mirror: Whether to make sure you don’t have broccoli in your teeth or to put on an extra coat of gloss, you must have a mirror in your purse. 2. Clean & Clear Oil Absorbing Sheets: Do you have oily skin or have some T-zone action going on? These are great to blot the shine without messing up your makeup. 3. MAC Matte: This stuff is amazing. As an alternative to the oil absorbing sheets, with MAC Matte, all you do is put this on under or over makeup and like magic your skin is immediately “mattefied”! 4. Multi-Talented Multiform Pen: You never want to get caught without a writing utensil. And why pull out a Bic when you can have one that makes a statement? 5. Diario Italian Leather Journals: Being prepared to write down that next big idea or a contact’s phone number is so important. These leather journals are so small that they won’t weigh down your purse. 6. Colgate Wisp: Imagine you just ate corn on the cob and garlic short ribs. Your gum may not do the trick, but Wisps probably will. These mini toothbrushes with “freshening bead” gets the food out of your teeth and freshens your breath! We hope you enjoyed The Brown Girl’s Guide to Lip Gloss: Part 1 that we featured in last week’s The Vyne Weekly. 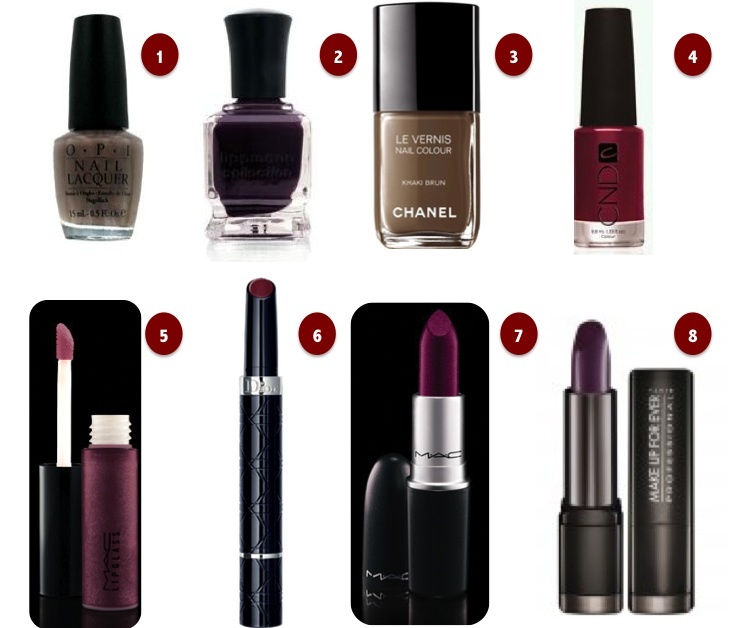 This week we’re featuring Part 2, which covers colors in the pinks/corals and reds/burgundies categories. As we did last week, we’ve provided you some detail on both the color description and type. We want to hear from you! Tell us YOUR favorites.